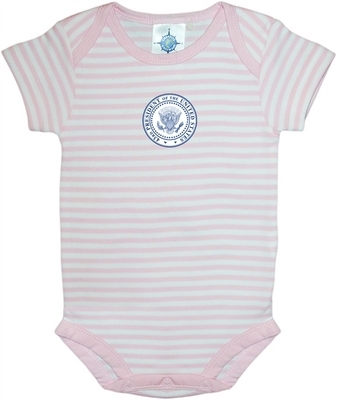 Infant striped bodysuit with the 43rd Presidential Seal logo. 100% cotton. Imported.